Ok, I must be going crazy…either that or I’m trying to stay motivated. I’m struggling to keep up with the String of Pearls Quilt Along that I joined, which is a little sad because I’m making the quilt less than half the size of the actual quilt along pattern. Here’s what I have so far, but when the next step is released on the 17th, I’m supposed to have the blocks finished with the top and bottom borders sewn on, and I’m supposed to have all the blocks put together into a completed quilt top. But, my mom and dad are coming on Wednesday to help me deal with this hot mess in the backyard, and I have to teach a 4 hour class tomorrow evening, so that quilt is not going to be in one piece by Wednesday. I’m not giving up hope though because we get an entire two weeks to baste and back the quilt. It’s my chance to catch up! I still can finish on time. I know I can. In the meantime, a few other intriguing quilt alongs have surfaced, but I have resisted. However, today I found the star surround quilt along, and I don’t think I can resist. It’s a little more intimidating to me since new instructions are going to be released weekly instead of bi-weekly, and the week of completing the quilt top coincides with the first week of school, but heck, why not take on the challenge? Students won’t turn in any full length papers to grade in that first week. I told myself that I could only do this quilt along if I could raid my growing stash and make the quilt from fabrics already on hand (excluding the backing and binding). 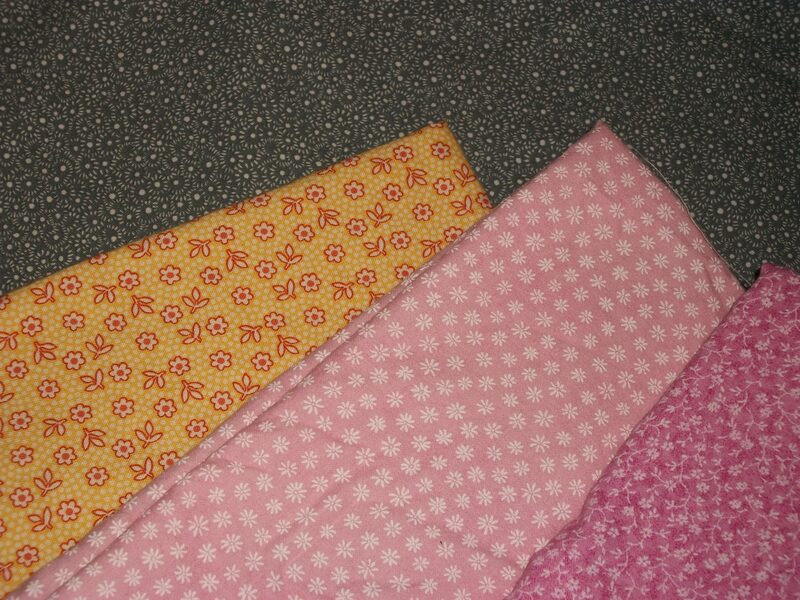 I let what I found in my stash dictate that I’ll be making the 40 x 40 baby quilt, which is going to be one giant block. Well, the stash and my fear of flying geese have dictated that decision. You might recall that my last go round with flying geese was just a bit intimidating, so the thought of making one block with them instead of nine blocks with them seems more doable. I guess it’s time to listen to the old cliche, when you fall off the horse, you’ve got to get back on and ride again. I’m going to work on making those geese without clipping their wings this time. 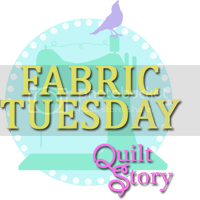 This week is just fabric selection week. Hint, hint: That means there is plenty of time to still join in the fun. I’ve put together two choices from my stash to mull over. If I go with this choice, the yellow and light pink would become the star. The dark pink will form the border of the star, and the gray will be the background. Solid is recommended for the background, so this is a bit of a risky choice, but since there is no direction to it, I think it would work. The second choice is more bold. The yellow and black will form the center star. The black and white will form the border (which worries me just a tad because there’s a direction to the fabric), and then the bold, solid red for the background. 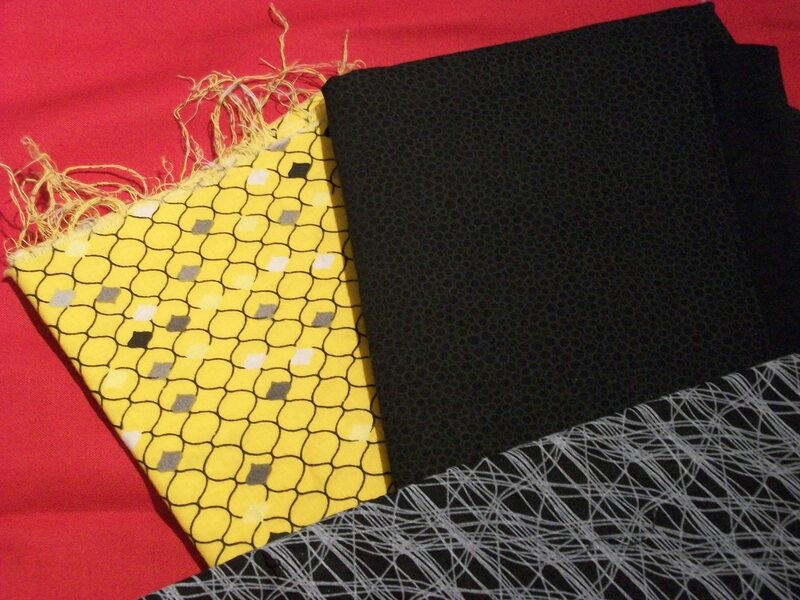 I’m leaning towards the bold yellow, black, red combo since I’m doing the single block design. I think it will have more impact. But, what do you think? This is baby size, so would the softer pinks be better? Will I tear my hair out with the directional fabrics? Cutting starts next week, so I’ll need to decide by next Monday. ← You want what for those shelves?!? You are doing great on your string of pearls quilt along! You still have plenty of time 😉 I like the bolder choice for the star surround. Oh! I so wish I could join I. On that star one but I’m still on May’s block for another QAL I’m in. So I feel ya, girl! You will definitely catch up!!! Yeah, if I’m going to keep up with the Modern Blocks one that I’m part of, I’ve got to figure out when I can get July’s block churned out here. I love the second choice too! So bold and fresh. I just decided today that I am doing this QAL too:) I am doing the baby quilt, but the 3×3 I think… The one block is tempting me. I don’t have a lot of time to do a big one either. 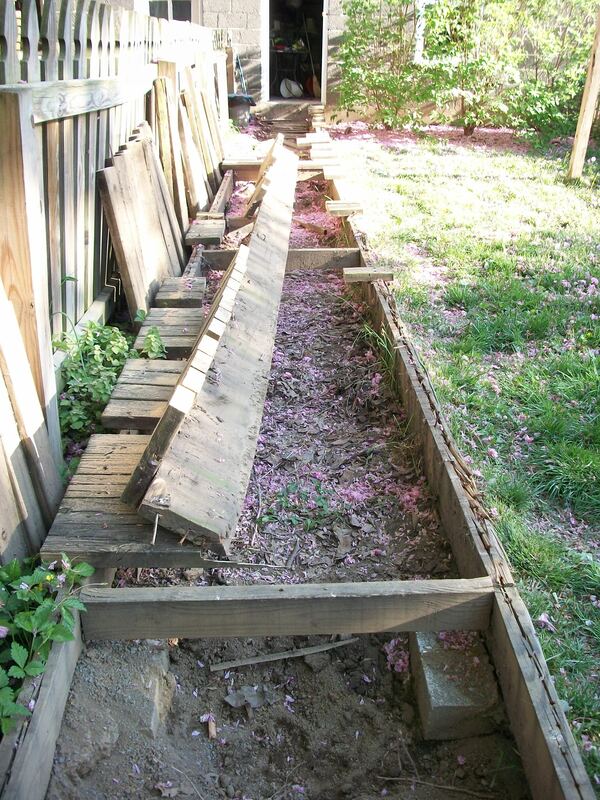 Good luck with the back yard! 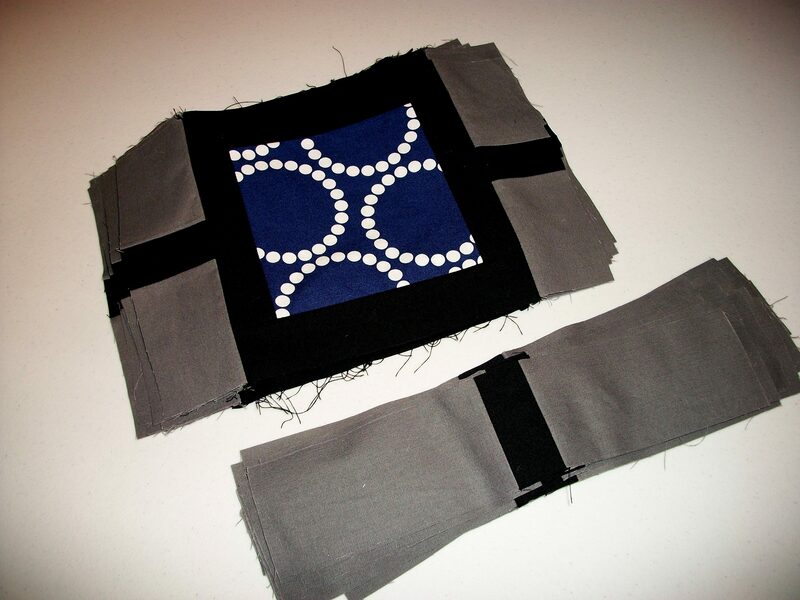 I just saw on your blog that you’re doing this QAL; I can’t wait to see the fabrics that you choose.